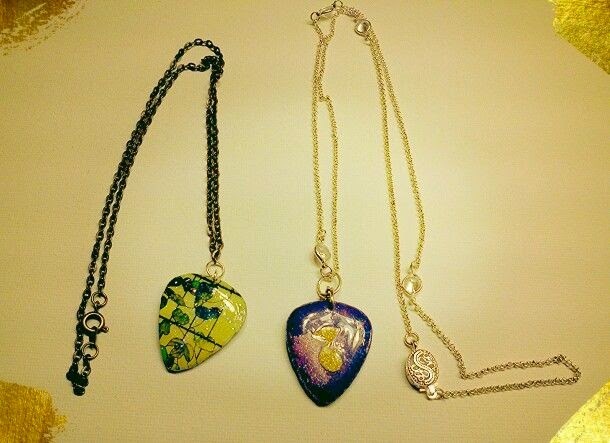 Rock Resurrection Art : NEW Guitar Pick Necklaces! These brand new elegant necklaces have just been finished! These feature a pendant with Tiffany ivy on a copper colored chain, the other has a color changing pendant made with color changing nail polish by Digital Nails, that goes from purple to blue on a long silver colored chain with embellishments. Color changing necklace has been sold! - but fear not, I can make more just like it!